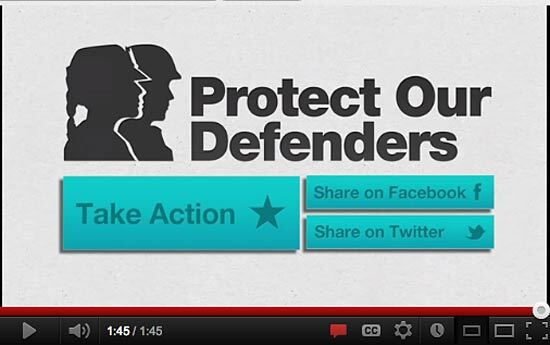 FrontStream’s entry into nonprofit sector from JD Lasica on Vimeo. Target audience: Nonprofits, foundations, NGOs, social enterprises, cause organizations. Ilove the serendipity of who you bump into at the Nonprofit Technology Conference each year. At last month’s event, I sat down to lunch with my partner John Haydon and Leila Khoury, director of business development for FrontStream Payments. If you haven’t heard of FrontStream, they’re a newcomer to the nonprofit space, although they have a long and solid record with businesses and the education marketplace. With FrontStream, nonprofits can build a donation capability into your website with your own branding — and at a remarkably low cost of just 2.99% of the amount when donors use most credit cards (3.5% for American Express). Customized branding is included at no additional cost. You can create a special campaign widget using FrontStream, or have someone set up a booth at one of your events to accept donations on the spot using a swipe terminal or wireless device. One the benefits of FrontStream for nonprofits over other alternatives is that you can collect donations directly on your own website instead of being sent off to a third-party site like Fundly, Rally, Authorized.net, PayPal or Google Checkout. And, unlike donation aggregator Network for Good, which holds your funds for 30 to 60 days, your nonprofit will receive the donations immediately. “We want to be the donation processor anywhere and any time,” Leila says. Four of Socialbrite’s strategists will be speaking at the Nonprofit Technology Conference — the year’s biggest nonprofit tech event — which concludes today and tomorrow in San Francisco. We might have the largest crew speaking on panels or leading sessions at NTC. But we haven’t been publicizing that fact much, because that’s not how we roll. Socialbrite has already received a lot of love at NTC because of the thousands of free resources and tutorials we’ve made available to the nonprofit community since 2009. But it’s worth letting NTC attendees know which speakers we’ve got on tap, since there’s just so much going on at the conference! 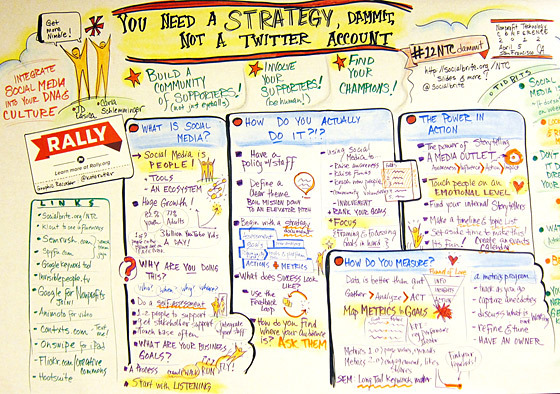 • Online Organizing for a Cause/Movement Building (hashtag #12NTCOnOrg on Twitter). Debra Askanse, 10:30 am to noon today, Cyril Magnin I (Parc 55 hotel). Come and meet your fellow nptech-ers who are working in community building, movement building, and developing online organizing campaigns. Find support and as a place to discuss challenges, issues, online campaigns, and the brass tacks of how to build movements online. If you’ve ever developed an online campaign to develop leaders and recruit stakeholders for your cause, or want to learn more about it from your fellow online organizers, join us for this Birds of a Feather discussion. Fellow panelists: Avi Kaplan of Rad Campaign and Charles Lenchner of Organizing 2.0. • Designing Online Engagement to Collaborate With Your Community (hashtag #12NTCCollab on Twitter). Debra Askanase, 1:30-3pm today, Yosemite B (Hilton). You can design online engagement to unleash your evangelists. In this workshop, we’ll focus on all aspects of designing high-value, engaging, and participatory content that creates a partnership with your fans. A true evangelist is moved to create, is a seamless co-creator with your organization, and motivated spreader of content. Successful organizations intentionally design and construct multiple online channels that enable access for all fans and develop paths for relationship reciprocity and trust, fostering true evangelists. Fellow panelists: Amy Sample Ward of NTEN and Vanessa Rhinesmith of StartSomeGood. • Personal & Professional Brand in Social Media (hashtag #12NTCPPB on Twitter). 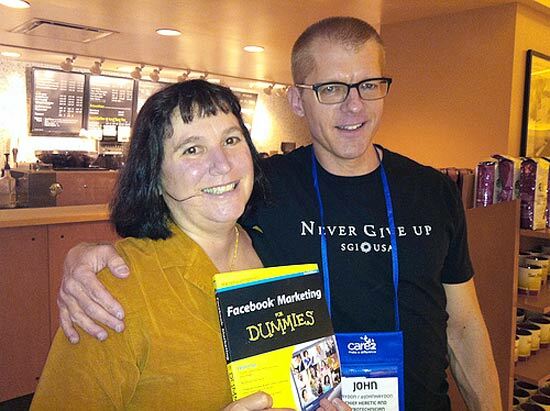 John Haydon (co-author of “Facebook for Dummies,” 3:30-5 pm today, Golden Gate 6 (Hilton). Are you proudly representing your organization, seamlessly blending your personal and professional persona online? Or are you scared stiff that someone will figure out that your old beloved handle “bunnykiller” actually belongs to you, the Executive Director of the Animal Protection and Welfare Society? Are you stymied by your organization’s social media policy, annoyed that you can’t discuss politics, religion, and sports online? Do you juggle multiple online accounts in order to express yourself authentically in different spheres of your life, or have you embraced a modified authenticity, knowing that your grandma might be listening in? 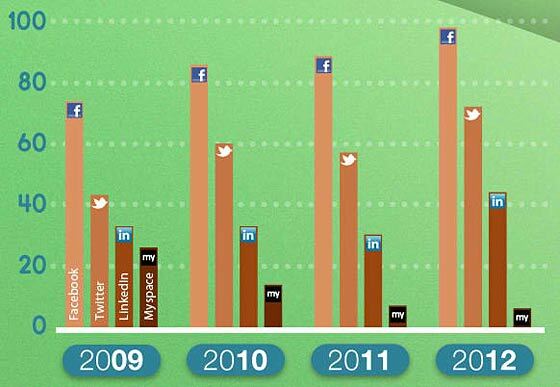 Do you behave differently on different platforms? Come discuss these issues and many more. Tell us your real life successes and failures. Fellow panelist: Laura Norvig, ETR Associates. 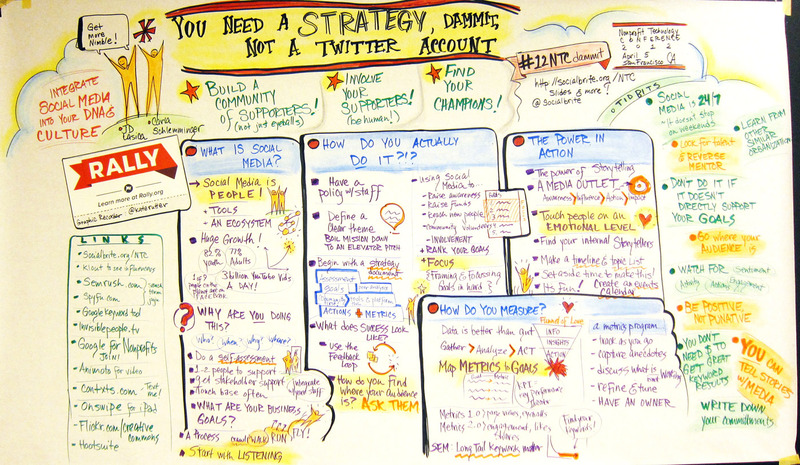 • You Need a Strategy, Dammit, Not a Twitter Account (hashtag #12NTCDammit on Twitter), led by yours truly and Carla Schlemminger of Socialbrite. 10:30 am to noon, Plaza Room A (Hilton).